After about two years close of the port for exporting the wood in Guinea Bissau, it is confirmed that the wood can be exported now out of Guinea Bissau. Right now, people having many containers blocked for two years rush to get them out but have to pay heavy fine on delay of shipments. That increased a lot of cost for wood buyers from China. 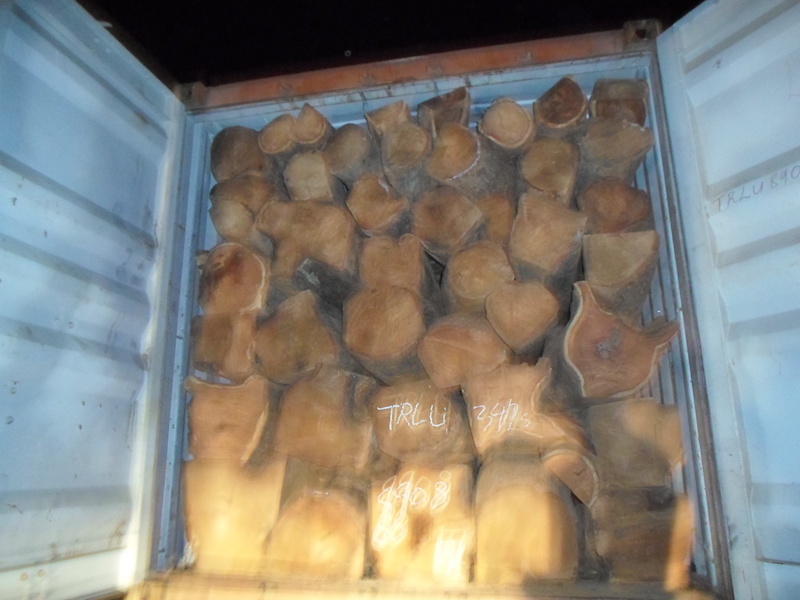 We know that some of them having several hundred containers of wood not shipped before the close of the port. To them, it is a good news that they finally can get their product out, even though it is expensive due to the fine. Bissau’s Kosso has very good quality. It is good to be used for high quality red furniture, especially artistically craft furniture.